When you walk into a bike shop with two grand in your pocket, you’re justified in expecting to exchange that cash for a bike that will see you dancing up the hills and racing to the town signs for years to come. The majority of riders selecting a bike at this price point are looking for carbon as their chosen frame material, and if you’re buying a pre-built machine you can usually get one fitted out with Shimano Ultegra when you’re shelling out this sort of cash. However, carbon isn’t the only option – aluminium has its merits – bringing with it a lively ride feel and resilience that will be a comfort for those looking to race crits where robustness might well trump weight concerns. 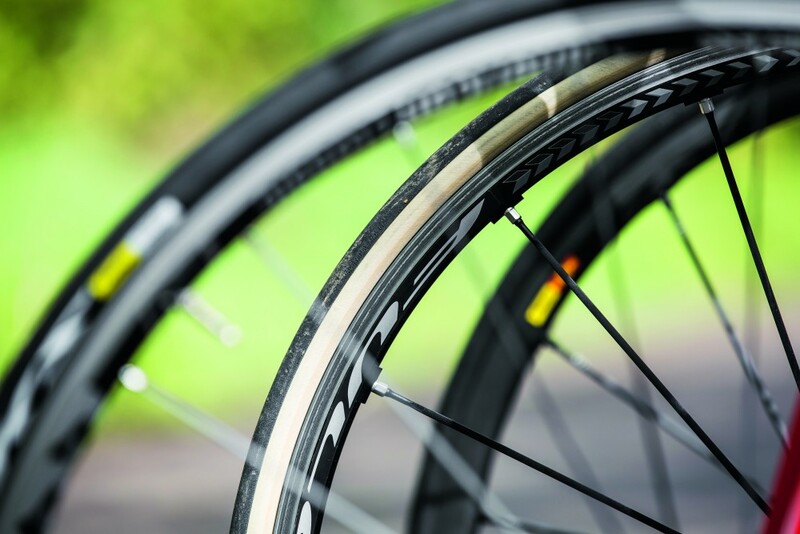 At the £2000 mark, a road bike’s wheels will often be the key let-down, and are usually the first upgrade we’d suggest. However, there are exceptions to this rule where you’ll find race ready quality there, too. The Propel Advanced is the aero bike from Giant, and though the top end models come with disc brakes, at this level you get rim stoppers and a standard cockpit. This new version comes with Giant’s AeroSystem Shaping Technology – CFD analysis and wind-tunnel testing have resulted in optimised tube shapes. For an aero frame, especially at this price point, it is also very light at 8.16kg in a size M/L. 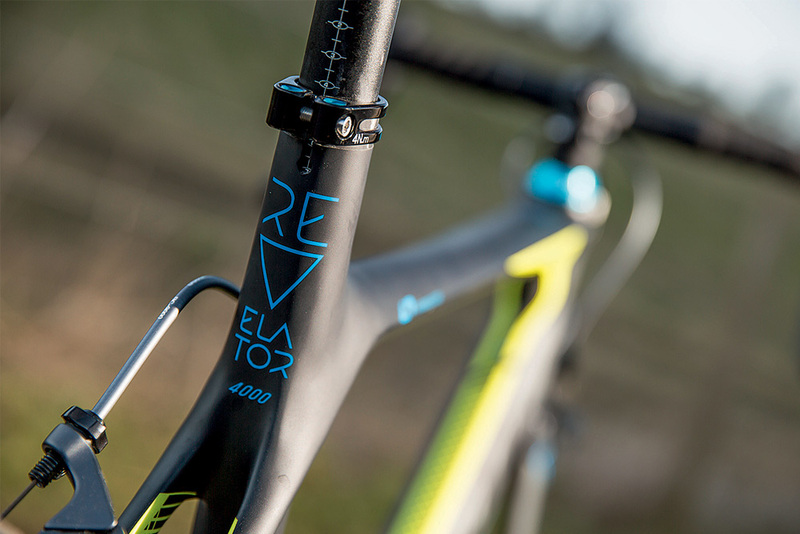 Watt saving details include aero mini-V type calipers which sit flush with the fork blades and seatstays whilst the gear cables enter the top tube behind the stem. However, there are long runs of exposed cable down to each brake noodle, which might lose a few watts. The groupset is Shimano Ultegra, whilst the rest of the components are Giant’s own, including the deep P-A2 wheels which are fitted with Gavia tyres, both of which we liked. Getting down to riding, we found we snatched Strava PRs all over the place on this bike, and though it’s fast, there’s enough compliance that the ride wasn’t harsh. In terms of value, you’re getting a lot of R+D here, plus quality upgrade wheels for a pretty friendly price tag. Boardman has its very own wind tunnel, so you can expect that the frame has been well engineered to save watts – the proof is in the aerofoil tube profiles, aero seatpost and dropped seatstays. The frame itself is made from C10 carbon, Boardman’s highest grade that it says is ultra-high modulus, and despite the aero goodies this is a bike for endurance riding. In terms of geometry, it’s a racey all-day bike – so feels agressive without being uncomfortable. A full Shimano Ultegra groupset provides the quality shifting you’d expect at this price point. 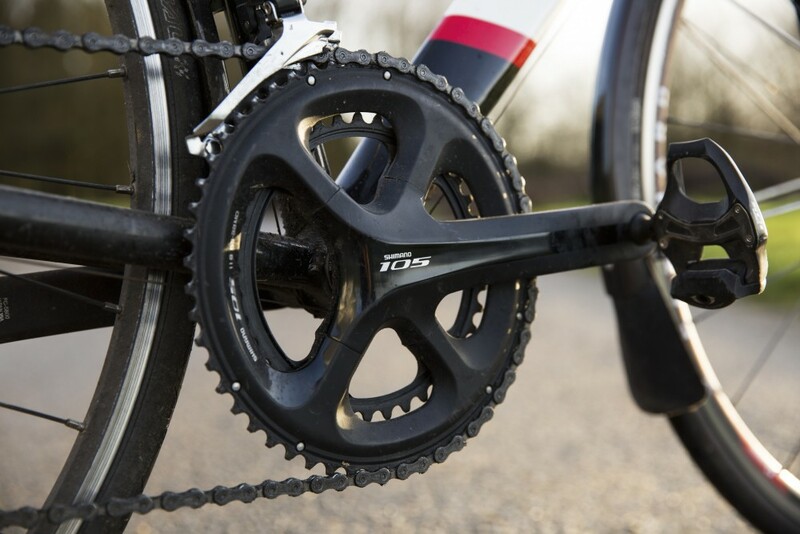 It has a compact 50/34 chainset that’s coupled to an 11-28 cassette, which doesn’t quite give the range for steep hills that the latest iteration of Ultegra can accommodate – you can go up to 30 teeth with the short cage mech as fitted or 34 for the longer mech. The alloy wheels – Boardman’s SLR Elite Seven – are a pretty low budget option – though they’ll make for a good all rounder, you’d want to upgrade to something deeper to enjoy the benefits of the frame’s aero additions. The full build came in at 7.28kg in the size medium tested. On the road, we found the ride stable without dulling the road feel, and the light weight showed through on the climbs. The aero features came into play on flat sections and descents. The lack of disc brakes represented a challenge in the wet, not helped by the slightly slippy 25mm Vittoria Rubino Pro tyres. The Tifosi Auriga has been wind tunnel tested and enjoys some aero tweaks as well as a spec upgrade for 2019. The rear brake caliper has moved from its previous position – behind the BB – to the traditional position at the seatstay wishbone. This means it’s much easier to work on when maintenance jobs are needed – though there is a long length of cable from the top tube to the caliper on the dropped stays. Though we tested the rim brake option, there is a disc brake option – which makes all of this irrelevant – but retails at £2,299.99. The frame is constructed from Toray 700 and 800 carbon, which wears an Ultegra groupset and Vision Team 35 Comp wheels. The aluminium braking surface means these aren’t so light at 1850g, but if you upgrade at a later date they’ll make good training hoops. The geometry aims to appeal to a wide range of riders, with a higher stack and shorter reach when compared with a thoroughbred race bike, but as the Spirit Tifosi team’s performance suggests, it can still be raced at elite level. Though the frame does boast aero tube profiles, we found it offered plenty of compliance to go with the stiffness on offer. As per several of this year’s £2k bikes, the Ribble is bringing aero features to its endurance range – with nods to watt savings such as kamm-tail tubes, dropped seatstays and an aero seatpost all aboard a comfortable frame. The frame itself is built from Toray T800 and T1000 high-grade carbon, and at 1.15kg it’s pretty light for a disc brake model. You can select your own build specification using Ribble’s Bikebuilder app, and to create a bike which met the price point we went with a Shimano 105 build, Level-1 branded standard stem and aero tops, plus 28mm Conti 4 Seasons tyres. The Mavic Aksium Disc wheels fitted are reliable, though not the fastest – and at 8.6kg for a size large, it’s not the lightest. However, the comfortable frame smoothed out bumps in the road, the handling was nimble and predictable and there’s mudguard eyelets which mean you could use this as a winter bike if need be. The geometry is no slump, however, and if you want to you can get into a low and aerodynamic position. A comfortable carbon frame suited to long rides, the Cube Agree C:62 is a favourite at Cycling Weekly – the SL model achieved a place in our 2018 Editor’s Choice awards. Built using Cube’s Advanced Twin Mold tech carbon, the frame uses precise inserts which add strength and stiffness where needed. The headtube is taller than a standard race bike, and the reach shorter, but there’s some nods to speed on there – such as an aerodynamic fork and clever integrated seat clamp. This model comes with a Shimano Ultrgra groupset, and Mavic Cosmic Elite wheels shod with 25c Conti Grand Sport tyres. CAAD stands for ‘Cannondale Advanced Aluminium Design’ and the CAAD12 is the brand’s showpiece, demonstrating exactly what can be achieved with aluminium. An ideal crit racing machine, the CAAD12 is renowned for its long and low geometry paired with handling which is second to none. Slender tubing demonstrated that aerodynamics isn’t necessarily top of the list here, but the 6069 aluminium alloy put to work allows for the best low weight to high stiffness balance. SmartForm techniques offer smoother butting within the tubes, putting an end to abrupt changes in wall thickness and thus reducing stress whilst optimising weight. A size 52cm came in at 7.6kg. At this price point, you get a Shimano Ultegra geoupset with a Cannondale HollowGram Si crank set, which offers a compact 50/34 set up which crit racers might want to swap out. Mavic Aksium wheels come shod with Yksion tyres in 25c. Another bike which earned itself a spot in the Editor’s Choice awards of 2018. Nestled within the ‘Competition’ category of Giant’s ranges, the Advanced is at the lower end of the scale but shares the same carbon frame as more expensive Advanced Pro models (albeit with an aluminium steerer instead of a full carbon fork). This model comes with Shimano Ultegra throughout excluding the cassette. At just 7.76kg, it’s a lightweight machine. The frame is strong, performance grade stuff and the front end is constructed from one single piece, coupled with Giant’s OverDrive steerer this creates a stiffer ride quality and better handling. Giant uses its Compact Road Design, which features a sloping top tube to allow more riders to find the perfect fit; plus more seat post is exposed which provides greater compliance via more flex. You get Giant’s own brand wheels, which are tubeless ready – a major drive for the brand which is keen to encourage more riders to go tubeless. Our tester found the bike’s balance of handling, compliance and punchy ride quality to be in perfect harmony – awarding the machine a perfect 10/10. The longstanding Specialized Allez is a hugely popular entry level road bike, but the Allez Sprint is a very different beast. With a significantly more agressive geometry, the Allez Sprint is an aluminium crit racer’s dream. Its party trick is the D’Aluisio Smartweld Sprint Technology, which reinforces the welds and thus the stiffness, without adding much a hefty weight penalty. The S-Works FACT carbon fork further reduces the weight, and adds a bit of front end comfort – our size 52 came in at 8.28kg. At this price point, you get a Shimano 105 groupset, including matching hydraulic disc brakes, whilst the crankset comes from Praxis. The wheels are DT R470 Disc, shod with 26c Turbo Pro tyres which should be grippy in the bends. Admittedly, this one is just a little over budget – but it’s a renowned endurance model that provides plenty of comfort without sacrificing power transfer and responsive handling. For 2018, the Synapse had a total redesign, seeing it drop weight to the tune of 220g in a size medium – and this has continued into the 2019 range. Highlights include the brand’s SAVE technology – this stands for Synapse Active Vibration Elimination, and refers to the use of carbon layup to create shock absorbing chainstays, seat stays, and fork which reduce buzz without limiting stiffness. The geometry is fairly relaxed, with a taller headtube and shorter reach designed for comfort all day, and for £2199 you get a Shimano 105 groupset. Of course, over the years we’ve tested plenty more bikes in this price bracket, many of which will have seen only slight alterations for the new season. The vast majority of £2000 road bikes will come with a carbon frame. Carbon is light, compliant – and it’s perfectly achievable to pitch for one at this price point. However, if you’re after resilience – for example you expect to be racing the bike in criterium races and want to know it can take a battering, you might want to look towards the high-specced aluminum market. You might find some titanium and steel at this point – both good options if you’re seeking springy comfort and perhaps a ‘bike for life’. At this magical £2000 price point, many of the bikes you’ll be looking at will share almost exact replicas frames with those you see the pros riding – with lower end wheels and groupsets. This means that, in theory at least, you could be buying a ride experience not a million miles away from a bike of double the cost. However this doesn’t mean that all bikes of this price point are built to be racy. If you’re after a bike that will be great to ride all day over rough British road surfaces then it’ll be worth checking out the geometry chart and looking for a bike with a taller head tube and shorter top tube for a more relaxed and comfortable fit. Trickle down technology means you can easily get a Shimano Ultegra equipped bike for under £2000 now. You will find models with less glamourous groupsets such as Shimano 105, and these shouldn’t be overlooked – it could be that you’re getting a superior frame that you can easily upgrade over time. With the apparently unstoppable march towards electronic components it would also be worthwhile checking that the bike you buy has internal cable routing, in order to gracefully accommodate electronic upgrades. While the shifters, derailleurs and chainset are probably the most important parts of any groupset, it’s worth looking at the full spec to see if you’re getting full bang for your buck. While a lower end chain or cassette shouldn’t have too much of a negative effect, many manufacturers will hit a price point by fitting budget brakes which won’t match up when it comes to braking modulation. See if you can find a bike with brakes that match the rest of the groupset. The wheels are often the weakest part of a lot of new bikes, wherever they sit in the market, and the story’s no different for plenty of £2000 road bikes. While the frame might be at a World Tour level, the supplied wheels are most likely to be better suited to duties as sturdy training wheels. This could well be one of the first places to look when it comes to upgrading your bike further down the line. A lighter or more aerodynamic pair of wheels will really help you make the most of a great frame. Hopefully you won’t need it, but particularly with carbon frames it can be worth having one eye on what sort of warranty the manufacturer can offer. The standard warranty is around two to three years, although some manufacturers such as Specialized and Canyon go as far as offering lifetime warranties on frames.